Oct. 12, 13 and 14: SFCC Tennis Tournament. 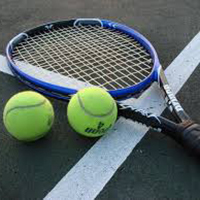 Mens & Womens Singles, Mens & Womens Doubles and Mixed Doubles at Santa Fe Community College’s William C. Witter Fitness Education Center (FEC), 6401 Richards Ave. First rounds will start at 4 p.m., Fri., Oct. 12. Saturday and Sunday, Oct. 13 and 14, the rounds will start at 8:30 a.m. Participants must be at least 18 years of age with a 3.5 rating or lower. Registration fees are $25 per person for individual events and $30 for doubles per team. Register online at newmexicosportsonline.com or at the FEC by Oct. 11. For more information, call 505-428-1656.